Whoa they doubled a $1 coupon?! My store only goes up to $.40 and I’ve only ever seen stores go as high as $.50 for doubling. Crazy! I’ve never used a foam roller but I hear great things about them. I might buy one to try it. They look fun! Fun might not be the right word, but you definitely get results! I did it again last night a little bit and I am sooooo loose today. It’s awesome! 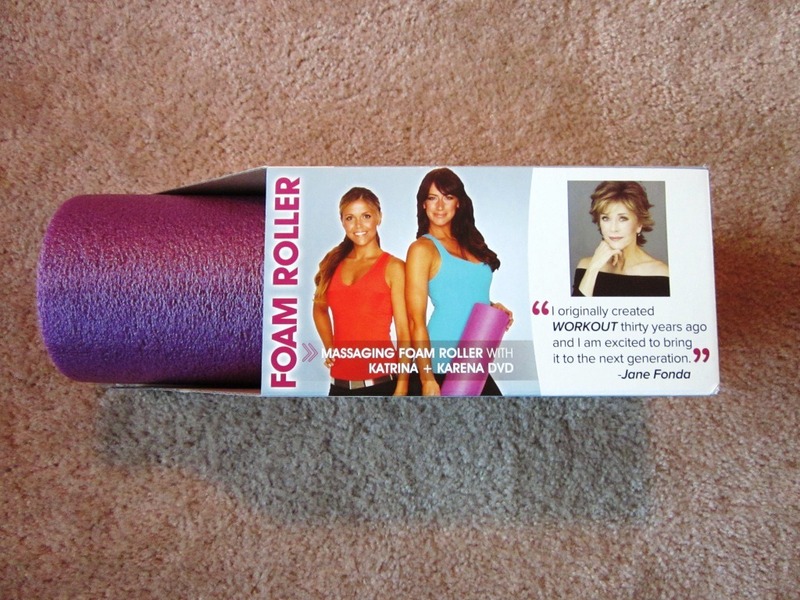 My foam-roller is amazing — I am super jealous you got yours for $6! I also didn’t notice a huge difference at first, only that it hurt like hell. Now it feels amazing. I think it takes a few times for your muscles to get used to it. It depends on the race — but I usually take 2 days off totally and then start up with light jogging or walking. Today is day 3 off, so I think I might try to either jog or elliptical in the morning to see how I feel! Wow, you didn’t mention how sore you were after the race! Makes sense though. I’m glad that the rolling stretches worked, and yeah, I think you should take it easy at your 10 mile race this weekend to avoid a possible injury. I love seeing the grocery and meal planning posts. I”m doing WW as well, so I love to get new ideas from you! I really like the planning posts! I also didn’t stretch after the race and was sorer than usual after. It is hard to stop and sit still after the excitement of a race! Plus it was so cold afterwards I wanted to move around to stay warm!! & commented on some of my other fav blogs (Kath, Caitlin, etc). 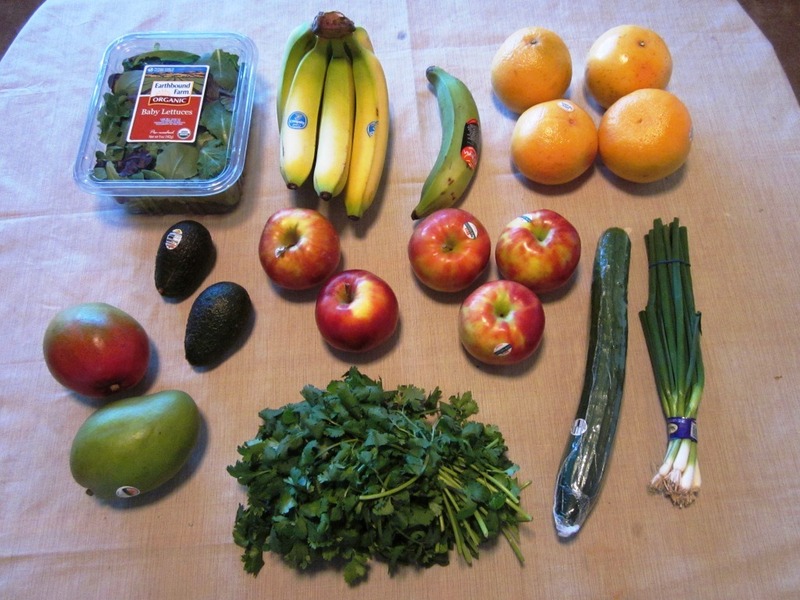 As someone trying to do P+ and eat a whole foods diet I love seeing what you get every week. I have also tried a few of your recipes and love them, like the quinoa burgers. I like the grocery posts. I’m surprised you haven’t foam rolled. It’s important because it breaks up the fascia surrounding muscles and that can only be done with hand pressure or something mimicking it like a foam roller. I like rolling my glutes and inner quads. killer for me! After my first half marathon (only one), i could walk for days, so a 10 miler would not have worked for me! A race in DC is on my bucket list! I’m actually coming to the Eat Write Retreat in DC while you’re at FitBloggin’. But I’m staying until Monday. I suggest you “race” the 10-miler on Sunday. You’re in really great shape and coming off the momentum of your PR half, you’ll do great! I enjoy your planning posts (and I love that Cedarlane eggplant parmesan) and your recipes (I made your lasagna roll-ups a couple of weeks ago!). I love the meal planning posts, in fact, it inspired me to make a meal plan of my own! Good to know! Thanks Torri! I do like the meal planning posts. Like today, I see plantain. It reminds me that I love plantains but don’t know a way to eat them that isn’t completely unhealthy!! How do you cook yours? I’m not a runner but my trainer has had me use a foam roller after a really tough workout. Totally a “hurts so good” moment! My boyfriend is a runner and swears by them. He said his recovery time after long runs is much faster. Glad you got such a great deal!!! I actually don’t know exactly what I’m going to do with it, but there is this wrap at a place that I love with plantain, black beans, and rice, and I’ve been craving it for a while! I think I may either boil or steam it, but I’ve only ever pan fried them before. I’m planning on showing the results on Thursday! foam rollers = <3 🙂 Awesome that you got yours for such a great deal!!! I absolutely love the meal and grocery posts. You could post more frequently- I would love it! They help me stick to my own budget, and give me ideas of things to buy. For example, I was at TJs the other day and bought the mini goat cheese wheels- strictly because of your recommendation! They are delicious, btw! Ok thanks Jess!! I don’t think I’ll do more than once a week but it seems like the general consensus is to keep them going – so I think I will! It helps me too because I might not be as strict about it if I wasn’t sharing the plan. I love the grocery store posts. I’m always so interested in how others spend their money on food. It’s kinda weird I guess, but you are feeding into my obsession. I guess because its one of my biggest expenses and I am trying to learn ways to keep costs down while still eating healthfully. It’s definitely one of my biggest expenses too, and having the strict budget/meal planning has really helped me as well! Seems like everyone likes them so I think I’ll continue to make it a weekly thing! LOVE the menu plans! I am struggling with Points right now and I need snack/ meal ideas so that I’m able to get enough food in each day. Your grocery posts also inspired me to really track how much I am spending at the store each month. Thank you!! There is the Snack Ideas post in the Top Posts section too if you want a refresher! I like the grocery store posts! Good luck on your 10-miler! I ran the half last week as well and am doing the GW Parkway in two weeks and volunteering at the Cherry Blossom 10-miler. Hope it’s not as cold as it was last weekend! The demo DVD it came with is SUPER helpful! They do each muscle as long as you’re supposed to so you can just follow along and roll out your whole body. I love the grocery posts! Gives me some great ideas! What is a foam roller and how does it help? A demo would be wonderful! A foam roller gives you an at-home sports massage. It basically breaks up the muscle fibers and loosens up tight muscles. The before and after is pretty incredible!! I love grocery store, meal planning posts! It motivates me so much. As for a foam roller, I think I’m sold on getting one .I keep getting really tight hammies, and stretching just isn’t helping. I enjoy the grocery posts…but that’s cuz I love grocery shopping hahah. I’ve never used a foam roller…it didn’t seem like it would really do much, haha. I like the grocery posts – it reminds me that I should be planning meals better and I am inspired with your creative use for leftovers. I have a foam roller and while it does hurt, you feel SO much better afterwards. I try to use after long runs but I read that it may be good as part of the warm-up routine. Maybe I’ll try that this week. I love seeing it! I have been SO bad about grocery shopping lately. And its harder now that Im on my own again. Its like I forgot how to grocery shop on my own. Do you have one main post with tips on best ways to do it?! I love this post and the meal planning. Lots of good ideas for me to try *smile*. Congrats on your race and dont take off too long. Maybe a week…. I love the weekly grocery posts. It makes it easier to see trends in sales and such. I’ve never used a foam roller — would love to see a demo! And I like seeing your shopping and menus. I am not nearly as organized/planned about meals as you, but I wouldn’t mind getting better at it, so keep up the organization-inspiring posts! I think the grocery posts are fine- I also read Carrots N Cake and other blogs that post their every meal so food posts are fine with me. Never used a foam roller but I’m interested in trying. Well I was going to comment to say how much I love the grocery/meal planning posts (you are my #1 favorite blog to steal food ideas from…and I do it constantly now! haha)…but everyone beat me to it! Your posts are always eerily timely for me as I was about to go get some running supplies today and one item was a foam roller! Hope I find as good a deal as you!! 2. I had the exact same experience with the foam roller intro that you did: at first didn’t get it, then quickly discovered why blogger fitnessista calls is her “foam roller luvah”! 3. Can’t answer this one, but I hope it becomes relevant for me in the near future! forgot to say that no I have no capacity for doing a video, and, I just printed out this post to have with me for my next weekly menu planning session! I use a foam roller and I promise you’ll notice a difference if you use it regularly. I ran the National Half and will run the Cherry Blossom also, but I’m just doing the 5k because I’m running with my 9 year old daughter. It should be fun! Like you, I’m itching to do another half because I missed a big milestone by 19 seconds on Saturday. There is a half in Alexandria on May 29 that promises a flat course and I’m pretty tempted to sign up. You’re right, racing is addicting! Love the grocery store posts. 🙂 I can’t believe you have anotehr race this weekend. You are a nut! I’m so impressed by you tough. Well, looks like the general consensus is everyone loves the shopping and planning posts and I’m right there with them!! You’ve given me great ideas in the past. Question? ?…since TJ’s has discontinued the peanut flour…are you going to try and find it somewhere else?? I bought 2 bags after reading about it on your blog and was just curious. Also – I’m not a runner but do cycle and you’ve inspired me to start using my foam roller again!!! I enjoy the grocery/menu posts! I’m impressed by your organization. I typically go to the grocery store and buy what I want that day so I’m going quite often. I might try to do a bit more meal planning using your plans as inspiration! 1. YES! I just found your site today and love the meal planning etc. 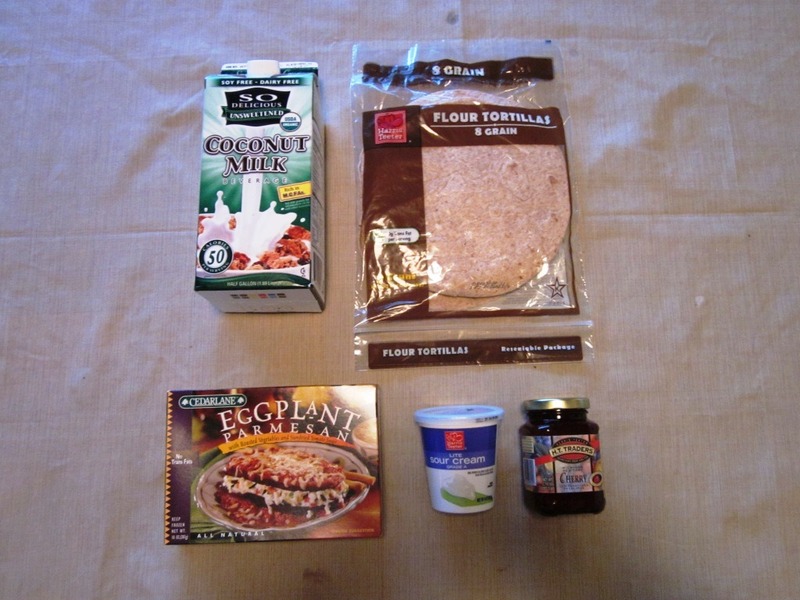 I live by myself and am always looking for ideas to reduce grocery expenses but still eat yummy, clean meals! 2. I have not used a foam roller but would buy one on sale. Foam Rolling is incredible! and I really can’t believe the deal you got on that baby, they’re always so expensive, it took me months to finally ask hubby to go out and buy one. It kills me how much it hurts, though. They say the more it hurts, the more your legs/muscles need it, but I had trouble getting used to the “good” pain and haven’t touched the roller in weeks. Shucks! Girl you have so many fun races coming up, you’re a running beast and I LOVE it! Have a rest-packed week, lovely! As far as the foam roller goes. I HIGHLY recommend it. I tend to get tight quads, hamstrings, bottom, etc.. when I use the roller often I feel it helps to loosen my muscles, and I tend to have less knee and back problems. When I don’t use my roller (like now) my body is a disaster. So, thanks for the reminder of why my body is currently out of whack. I need to start using mine again. I love the meal planning. It definitely helps me see how to be better about leftovers and gives me new recipe ideas. Keep! I’ve been considering a foam roller, especially since I’ve started up roller derby again! I know you’re big on grocery budgeting, as am I, so heads up that HT doubles to $1.98 during special promotions like last week. They do it about once a month for a week. 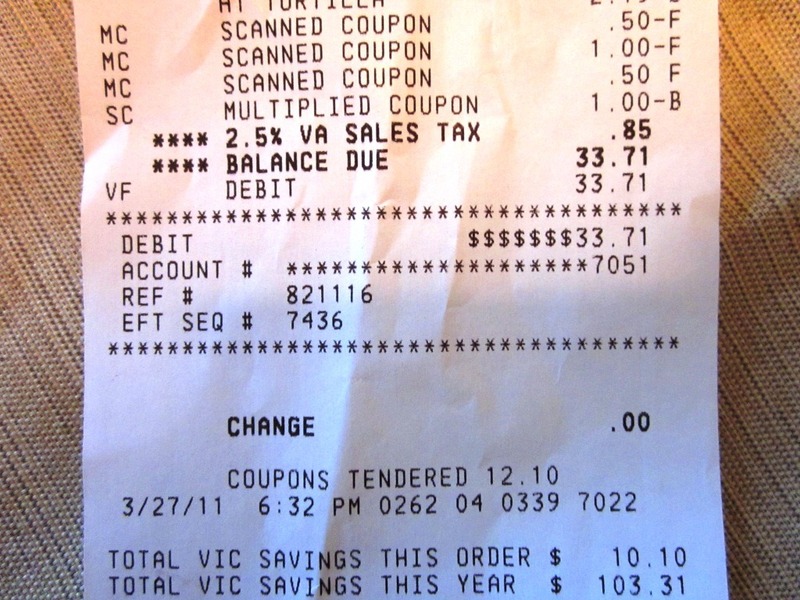 I use that time to stock up on staples like milk, frozen veggies, pasta, etc for super cheap. 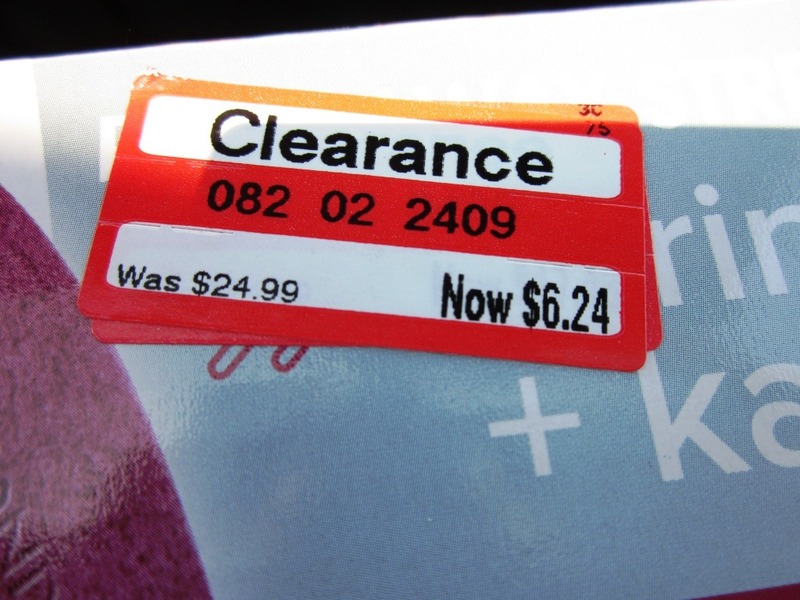 There are blogs that list out the deals for you and have links to the printable coupons. For HT, I like http://www.southernsavers.com. Hey Emily! Thanks for the tip – – I’ve been looking for a site like that for the teet! The video is about 15 minutes total, and worth every second! I have such a love hate relationship with our foam roller. I hate him, but he is oh so necessary. I even surprised myself while traveling this last weekend by one morning stating that I wish I would have brought the foam roller with us because I felt too stiff from the plane rides. I love your meal posts! So helpful and interesting.